Michael Jordan retired three different times — in 1994, 1998, and 2003. While Jordan was still a blast to watch between 98′ and 03′, his career for all intents and purposes ended in 98′. He simply didn’t have a chance to win a championship with the Washington Wizards. Following his retirement in 1998, the NBA found itself in a bad place — a fact that seems to have been all but forgotten by fans. The NBA’s heyday of Magic and Bird was long gone, Jordan’s run of brilliance and the Bulls’ dynasty had passed, and the league lacked both the young stars and rivalries needed to be successful. Arenas were empty and TV ratings were down. Boy, so much has changed since then. In the 12 years since Jordan’s real retirement, the NBA has rebuilt itself into what has become an amazing league once again. There are too many young stars to count, the Lakers-Celtics rivalry was renewed (although that may now be over as well), and the parity in competition was tighter than ever. 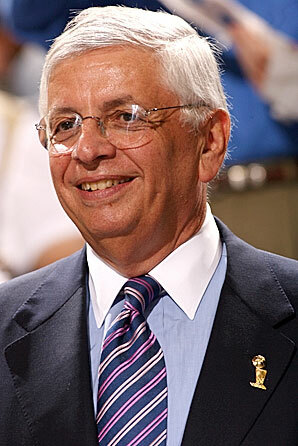 For that, NBA commissioner David Stern must be given a lot of credit. I for one am extremely happy to see the league so healthy once again. Looking forward to next year, it’s crazy to think that the league could be completely different than it has been these past few seasons. With the number of high-caliber free agents out there, the balance of power in the NBA will dramatically shift next year — the playoffs will certainly look very different. It is important to note that there is one major exception to this — one that nobody seems to be talking about — the Los Angeles Lakers. While free agency and the building of super-teams is a hot topic of discussion right now, and rightfully so, the Lakers have a huge advantage next year. Despite the star studded teams they will have to face, the Lakers will still have a young enough team — but they also have years of experience playing together including invaluable playoff-tested experience as a team. While I’m not completely sure it’s good for the NBA that one season can completely shift the balance of power throughout the entire league, it sure provides an interesting story line for next season. As a Boston fan, I obviously hope that the Lakers don’t 3-peat, but I do think that they can’t be ruled out despite all of the name dropping and super-team talk going on this off-season. The cool part? We’ll have an answer to most of our free agency questions in the next few days. It’s great to see the NBA back where it belongs. Look for guest posts from writers around the country, coming soon to http://www.howiGit.wordpress.com. While watching the recent 30 for 30 on ESPN, I watched as OJ Simpson tore up the highway in his now infamous Ford Bronco. While it was captivating, the story that really caught my attention was the Knicks versus the Rockets in Game 5 of the NBA Finals – the game that was interrupted by the OJ chase. I was eight years old at the time and that series remains one of my first Knicks memories. Watching that documentary bought me back to when I cried as the Knicks lost, and reminded me of a time when the Knicks were relevant – something actually beyond the punchline they have been for years now. I loved the Knicks, idolized John Starks, thought Allan Houston and Latrell Sprewell was the best combo in the game, despised the Heat, and hated Michael Jordan. That’s a lot of basketball emotion wrapped up in one New Yorker. Since the Finals appearance in 1999, the Knicks, for lack of a better word, have sucked. And not only have they sucked, they have been a comical mess. As a huge basketball fan, I have found myself over the last eight years just not caring about my home town team due to the ineptitude from their front office down to the play on the court. But hope is still there. I went to a Knicks game last year and Madison Square Garden is still an electric venue. You could watch a 7th grade girls’ basketball game in the Garden and get a feeling you cannot understand until you experience a game there. And if this electricity was experienced during an early season game again the Golden State Warriors, one can only imagine the electricity in the Garden if King James himself was on the court in a Knicks jersey. The Knicks need LeBron because this off-season has been what Knicks fans have been told to look forward to for the last four years. All the Knicks front office has said is, “Be patient we are setting ourselves up for 2010.” As a fan of a team that has not had a winning record, has not sniffed the playoffs, and has traded away talent for this off-season, patient or irate were your only two options as a fan. The Knicks have set themselves up to have the second most cap room of any team in the NBA, and more importantly, will have the opportunity to sign two max free agents during the upcoming free agent signing period. With all the hype surrounding this upcoming free agent signing period, if the Knicks don’t sign LeBron and Chris Bosh/ Dwayne Wade, it could be described as nothing but a colossal disappointment to Knicks fans. As a Knicks fan myself, I have not suffered through the atrocities that have been the last few season to take the consolation prize of Joe Johnson and Amare Stoudemire. Yet the pipe dream of landing James isn’t likely to happen in New York. The Bulls and the Heat have set themselves apart from the pack as the front-runners if James decides to stab his hometown in the back and bolt from Cleveland. If he goes to Miami, he will be making the same salary as he would in New York, yet he will be playing with All-NBA guard Dwayne Wade, and likely another superstar of the likes of Bosh or Stoudemire. In signing with Chicago, James will be teamed with former NBA Rookie of the Year Derrick Rose, former lottery pick Joakim Noah and another max player, most likely Bosh or Wade. Yet in signing with the Knicks, James gets the pleasure of playing with Danillo Gallinari, and hopefully another max contract player. While dollars to cents it seems like a can’t lose situation for the King, in a basketball sense, New York is a distant third in regards to his championship aspirations. New York is a great town for endorsements and expanding the “LeBron” empire, but if he wants to win a championship, it is not going to happen in New York within three years. 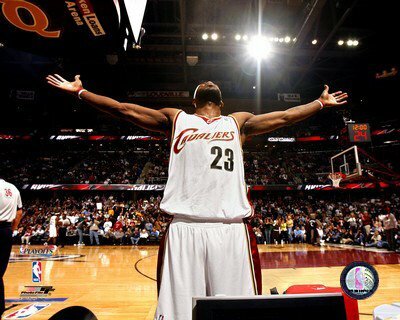 There is no way that King James will wind up in New York, unless the one man who has the power to make it happens pulls the trigger on the loaded gun that is the LeBron James free agency circus coming in the next few weeks. The afore-mentioned man is none other than William Wesley aka “World Wide Wes”. In the LeBron James free agency fiasco, “World Wide Wes” has remained a ghost like figure. Some people know who he is yet very few are sure what the hell he does. His nickname is appropriate because he is everywhere. He is friends with everyone, attends every important game from the high school to the pro level, and can get his clients anything, anytime, anywhere. He is the trusted advisor of the budding stars of tomorrow, and the current phenoms, such as James. Wes has pull with players, coaches, and owners. Wes has delivered Derrick Rose and Tyreke Evans to John Calapari at Memphis, and when rumors of Calapari coaching in the NBA began to fly Wes was behind it. When players like Allen Iverson are in trouble owners turn to World Wide Wes to get him back on the right track. One could only assume that his profession is something similar to an agent, yet they would be wrong. “World Wide Wes” does not receive compensation from his friends, no matter how high the status they hold. As James said in a recent interview about his good buddy, “Wes has not asked me for anything ever.” How does Wes make money? I have no idea. What I do know is that he has more pull than anyone in the NBA and he is the only man capable of shocking the NBA by putting LeBron in a Knicks uniform and filling that roster with the talent they need to win a championship with James. This sounds a lot like an X-Files conspiracy, and certainly like collusion if you were in the NBA’s front office, but in reality, the following scenario is not too farfetched. Imagine a line-up of, Chris Paul 1, Wade 2, James 3, Stoudemire 4, and Bosh 5. Four of those five are free agents right now and Chris Paul reportedly wants out of New Orleans. No one in the NBA has the money to sign these players with the current salary cap. However what if these players took less money from their future NBA teams and could make that money elsewhere, i.e. advertisements. The first place to look would be with their sneaker deals; all of the aforementioned players wear Nike on their feet. Dirk Nowitzki and Joe Johnson, two other prized free agents, also sport Nike’s on a game to game basis. Guess who is very good friends with Nike owner Phil Knight? None other than LeBron’s buddy “World Wide Wes.” Is it possible that “World Wide Wes” can have those 4 free agents sit down at a table with Phil Knight and say pay us “x” amount of money and we will become the best team in the biggest market in the United States? The amount of money that the “super-team” and Phil Knight could make in New York is unfathomable. The Knicks can then offer Gallinari, a David Lee sign and trade, and some draft picks for Paul. Now will this happen, probably not. The Knicks will probably sign Joe Johnson and Amare Stoudmire and get knocked out of the playoffs in the first round for years, but we will find out at some point over the next two weeks. 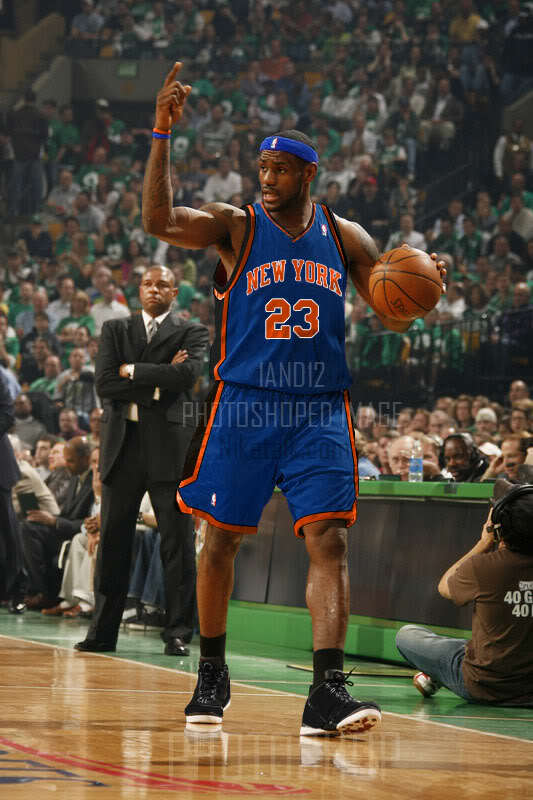 At the very least, this is an intriguing option – whether you’re a Knicks fan or not. If this were to happen, David Stern, the iron fist of the NBA, will make sure that it will never happen again – but for now it is 100% legal and 100% possible. Imagine the electricity in MSG with those five being announced every game.